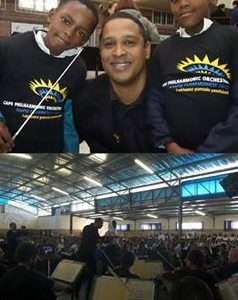 The Cape Town Philharmonic Youth Orchestra will present a concert on December 16. The itinerary is below, and offers transport, refreshments, talks and an opportunity for communities to come together, support each other and share in a meaningful experience, thanks to the generosity of Fine Music Radio. The soloist will be prize-winning pianist Leo Gevisser (14) who will play the Mozart Piano Concerto No.12, K 414. FMR announcer and CPO pre-concert talk presenter Rodney Trudgeon will also offer an illuminating talk at 1.15. 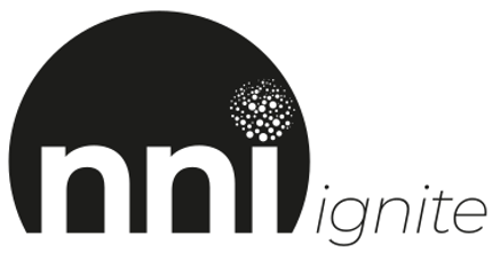 This a benefit concert for NNI Ignite, the South African non-profit organization that ignites and facilitates transformational dialogue across the nation and heals divided communities. In the concert, which will be directed by German conductor Thomas Lange, the CPYO will also play Barber’s Adagio for Strings and Bartók’s Rumanian Folk Songs. 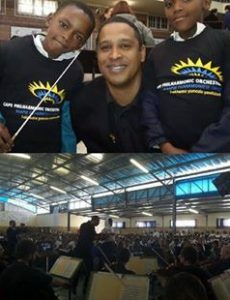 The Classic Reconciliation Concert celebrates the culmination of a five-day workshop, offered by Resonance Training (Thomas Lange and Wiebke Renner) and NNI Ignite (Jonelle Naude) for Cape Town Philharmonic Youth Orchestra (CPYO) with the goals of empowering young musicians in their music making and their lives in general. Conductor Thomas Lange, founder of Resonance Training, is a widely respected conductor and teacher. Resonance Training is a sound-oriented body work which helps musicians fulfil their artistic potential by releasing or preventing tension and pain. His course has been described by musicians of the NDR Radio Orchestra in Hanover as “far the best of all courses around musical body work that has ever been delivered“. Board the bus to Mitchell’s Plain accompanied by Rodney Trudgeon and representatives from Classic Resonance. 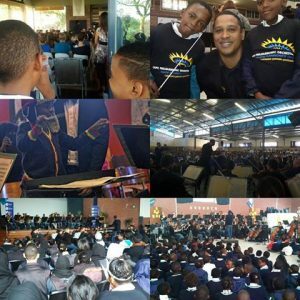 Fine Music Radio will offer free transport from Cape to enable more people to support the concert of reconciliation nationwide through music. Complimentary Tea and cake will be served. The audience members are encouraged to mingle with each other. This is a meaningful opportunity for Capetonians to make a difference and support our youth through the universal language of music. Please contact Fine Music Radio to book.